Come to Gepettos Pizza the next time you're hungry for a hot, delicious pizza. Our restaurant delivers great pizza, subs, and more with all the choice toppings you could want. You can get dine-in, takeout, or let us deliver to you for free. Try some unique toppings such as artichoke hearts, barbeque chicken, feta cheese, or shrimp; they're a nice departure from the usual into the world of gourmet pizza. Try us today and get your second pizza for half price! 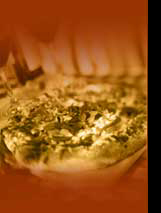 At Gepettos Pizza , we take pride in everything we make, which is why our pizza tastes so delicious. We use top-quality ingredients and cut no corners for full-flavor freshness. Our company is locally owned and operated, so we know how to serve the people of Houston. Our delivery is fast and our service is friendly because we care about what we do. Come to Gepettos Pizza 2 today and experience a better pizza. Get From Large Or XL Large. Mention this site and get your second pizza at half price. Contact us or visit us in Sugar Land; our restaurant delivers great pizza and subs with choice toppings. Monday – Sunday, 11 a.m. – 9:30 p.m.